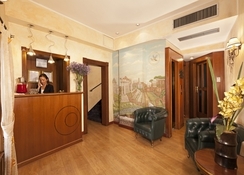 Just few steps from Fontana di Trevi, Spanish Steps and Via Veneto, this small hotel offers you eleven rooms perfectly equipped with all comforts: telephone, air conditioning, bar fridge, safe, satellite TV, smoke alarms, hair dryer. 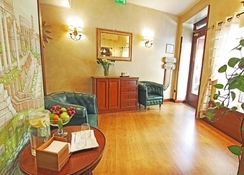 A small jewel in the hearth of the city! 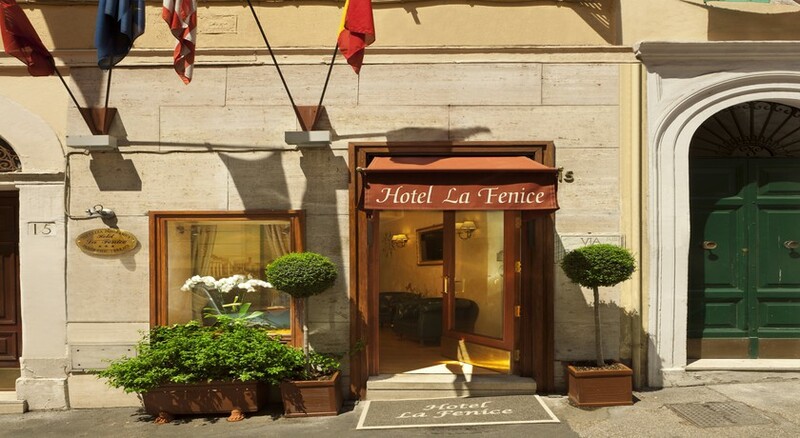 Hotel La Fenice is the perfect location for your stay in Rome. 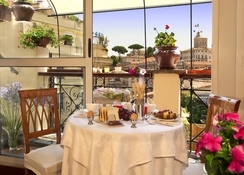 Breakfast is served on the roof garden of the hotel from where you can enjoy a breathtaking view. 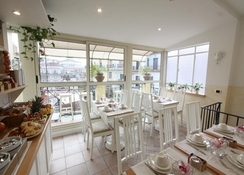 Strolling along the riddle of streets in the nearby of the hotel, you can arrive to Piazza Navona and Campo dei Fiori or you can stop, here and there, among the so many wine bars and typical Roman restaurants or have a tasty coffe at the famous Cafe' Sant'Eustachio. 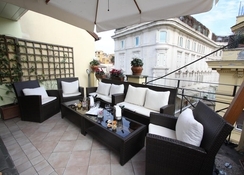 For reaching the hotel, from the main railways station, take the metro, line B, stop Barberini.